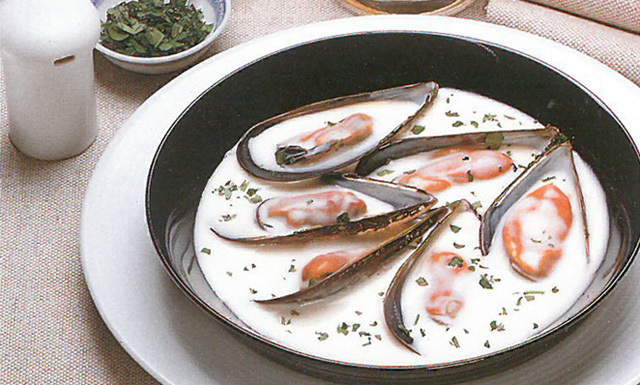 Mussels are cleaned and opened with steam, with a little water, also with the chopped onion. Once opened, drain and reserve the water remove the empty shell and place the mussels in a clay pot. Finally, put the sauce on top with the chopped parsley. Melt the butter in a saucepan and pour the flour, refrigerate and add the milk. We used some wands so that it does not take lumps, it is allowed to cook a little and we add the cream.